On the Arrive Alive website, we find several pages with advice and safety recommendations for our bikers and motorcyclists and us advise them to remain focused on enhancing their skills on the road. We thought that the best way to create additional awareness is to have a discussion with an experienced advanced riding trainer and enquire about his concerns for our bikers. With this in mind, we raised several questions with Hein Jonker from Bike Talk. 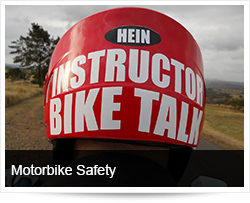 Hein - can you give us a brief overview of how long you have been a biker and how long you have been involved in the training of motorcyclists? I’ve been riding motorcycles, on and off, for the last 31 years since I was 14. Starting off on a mining community learning from a friend, stupidly riding around in the bush without helmet or gear exploring and hunting. My first introduction to training was in Rhundu, during my military service in 1987-1988, when certain officers were issued with Honda XL350R motorcycles. That’s where it really started. Since then I’ve made the effort to stay in touch with learning and developing new skills whenever I had the chance and sharing what I have learned with my friends. Officially I only started training other riders in 2004, and then on a more permanent basis when I started Bike Talk in January 2006. What term do you prefer - Bikers or Motorcyclists and why? Bikers like to be called Bikers, and Motorcyclists called Motorcyclists. There is a perception that Bikers are the Patch-wearing riders, whereas Motorcyclists are the more private individuals who prefer not to be part of a club or gang. Both are enthusiasts in their own right, have a common interest, and that is to ride motorcycles.  In some instances, a negative or bad stigma is attached to the term “Biker”, given that by Joe Public due to some bad experience or run-in with a motorcyclist. The public has a general perception of bikers drinking, jolling and fighting, and rebellious at times needless to say a mindset that needs attention. Personally, I prefer the more neutral term “Motorcyclist” as opposed to “Biker”, whereas “Motorcyclist” is a less intimidating term resulting from the passion of the sport and the rider who lives it through motorcycling. How important experiences for the safety on the road of bikers? I always say to my students, “Training teaches you the technique to obtain the skill and when applied, gives you the confidence to gain experience.” It is true that the wrong experience can have a lasting and negative effect, but when corrected through training will have a positive impact on not just the rider but other road users too. Would you deem continued training and advanced riding courses as important for bikers and why would you say so? Learning something from a book or video is one thing but will never top the practical guidance from the eye of an expert. I always suggest to riders that they need to do a refresher course, on an advanced level, each time he or she buys a new bike or at the very least once a year and most certainly after an accident or incident. Even an instructor should submit himself to frequent training workshops, learning and developing new skills and methods of instructing. You are never too old to learn, learning new and honing existing skills increases confidence, making you a clear thinking and safer rider. Life cover is not enough, training is more important; why claim it if you can avoid it. What do you believe are the contributing factors to most road crashes involving bikers? I’ve been invited a number of times for talks or presentations on motorcycle safety, and in some cases after a club or group has lost a member in an accident. Most riders are very quick to blame the other road user or road condition, so the very first question I ask is “What speed was the rider travelling at?” or “Has he or she had any training?” At this very point, I see faces turning grim, not wanting to acknowledge the truth in these types of questions. I would have to say speed is the biggest contributing factor to most accidents, along with rider error failing to respond or avoid such an accident at the speed he or she was travelling at due to a lack in skill. A common discussion among “bikers” is how fast their bikes can go, and when asked how fast he or she can come to a safe stop at that speed, a facial expression nothing short of a jaw-dropping “Huh?” explains why we have so many motorcycle fatalities on our roads today. Is the inexperienced biker much more dangerous than the overly confident experienced biker? I feel that the inexperienced rider poses a bigger threat to himself, travelling at slower than normal traffic flow due to fear as opposed to the overly confident rider, who poses a bigger threat to other road users due to his riding attitude. The inexperienced rider will most likely want to learn more where the overly confident rider would not. Too much of a good thing never lasts; it spoils and rots away because it is not nurtured. Too much confidence without discipline makes you an arrogant rider; an attitude we certainly don’t need on our roads. What are the most common mistakes you find amongst bikers coming to you for training - and how can this be rectified? I would have to say, Forward Observation. Speak to any rider travelling from point A to point B, asking him to give you details of his trip regarding obstacles, road signs, road surface, traffic, etc. and you will learn that they have missed most of it; even the experienced rider fails this test. Riders sit in traffic with their minds elsewhere, either occupied where they are coming from or where they are going to and hardly ever where they’re at that moment. Riders are often guilty at looking but never seeing; there’s a difference. My advice is that every ride, however short it might be, should be a learning experience. The rider should name, in his helmet out loud or in his mind, every pedestrian, vehicle or obstacle he approaches before it becomes an emergency. The acronym S.E.E. (Search, Evaluate, Execute) must be applied to live and ride another day. Can you give us a brief overview of what a day of training for bikers would be like? Across the different levels we have on offer, and training experience should be exciting, educational, and life-changing. Training must never be fearful, never dangerous but always with the person’s life and safety in mind. In the end, we want riders to come back for more learning, and be willing to call on us at any time for advice or guidance. Learning must be a lasting experience! Do the skills required to ride different sizes and makes of bikes differ significantly from one another? Oh yes! You might be able to ride a 125 and jump on a 250 without a refresher course, but you will surely need some guidance getting off a 250 and on to a 600. There are a vast amount of motorcycle tyres, and riding a sports bike does not mean you can ride a big cruiser with the same skill. The handling and power dynamics, due to the type of motorcycle, changes a lot and requires an adjustment process each time you change. A longer wheelbase motorcycle, typically a cruiser, will steer differently to that of a short wheelbase, typically a supersport motorcycle. Even the riding position, handlebar, seat height, throttle-brake-clutch response, the centre of gravity and foot control setup can drastically change the way you control the motorcycle. The rider needs to be made aware of these items and trained in how to manipulate them for a positive riding experience each time. What would the best advice be to a biker who buys a bike that is different from the one he used to have? Speak to a professional motorcyclist or instructor, stay away from friends or family with bad habits, and attend a refresher course depending on the level of training required. We often get people attending our courses who have ridden 20 or so years ago, looking at buying or already bought a new bike and wanting to take up riding again. Hats off to them! On the other hand, we often hear of riders who have ridden a 750 or 500 many years ago and now want to buy a 1300 or bigger, without considering any training or refresher course. “What would my friends think? I can do this!” Technology changed my friend, more than you could handle! Note to the prideful and aged; there is no shame in learning, but learning after the crash might be a little too late. What are the most important considerations when riding a bike on urban roads compared to rural and open road biking? Location, time, and route! Know where you are riding; learn what you can expect in this particular area you are about to ride in and if you don’t know, find out! No good has ever come from anyone riding blind. Knowledge of the area, route, road conditions, weather, traffic and time of day, etc. are but a few points to consider before heading out. This applies to any type of road: urban, rural, or the open road. Clearly, the term “Urban Jungle” has to mean something, and surviving in any jungle will require the right attitude, gear or tools and skill. Things such as lane position, following distance, covering levers with fingers and feet, observations, safety zone and letting other road users know of your presence are of utmost importance. Where you stop, how you stop, what to look at before moving off from a Stop sign or traffic light, avoiding vehicle clusters and blind spots are equally important. I always try and travel a route by car, in a more relaxed setting, to learn of road conditions and other factors before I ride the same route on a motorcycle. This is not always possible but should be considered where possible; it’ll make a huge difference. The other option is to change your route on a regular basis, preventing yourself from falling into a habit of same-old; this is when you stop learning. A new route creates a more focused riding experience, and most of the time a safer one. 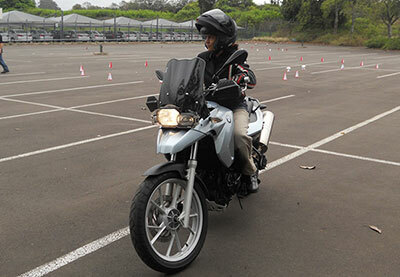 What would the best advice be to female bikers - are there aspects that they need to be especially aware of? Female riders are often handed down a motorcycle from a husband, friend or family member. Female riders are at times pressured into keeping up with the husband or group. The best advice I can part with for female riders is: ride your own ride, take your time to learn, and don’t let anyone tell you that it’s not important if you feel it is. With the right training, you can ride any bike a male rider can ride, take your time and trust your senses! What would be the 3 most important pieces of equipment / personal protective equipment you simply cannot do without? This is difficult as you cannot really compromise on any part of riding gear, but if you have to I’d say a good quality and well-fitting helmet, motorcycle jacket and full-finger motorcycle gloves. I strongly believe that when skin is exposed it should be covered; even the part of your neck between your jacket collar and helmet. I know budgets are tight at times, and riders want to get the best value for their money; next time ask the dealer selling you the motorcycle to include quality riding gear in your finance deal. There is always a way! Which piece of personal protective equipment do you believe is most often neglected by bikers? Every day I come across riders who own expensive motorcycles but ride around wearing “spit bowl” helmets, or cheap scrap I wouldn’t let my dog wear. The very first questions I ask are, “Without your brain, can your body function?” and “How much do you value your head?” Often I see the rider with a good quality helmet, but his wife/girlfriend/child is wearing a cheap piece of scrap he picked up for R500 or less. Where’s the love in that? Open-face helmets offer no protection to the lower face or jaw area, yet there are some without a visor. “Spit bowl” helmets are worse as they offer no protection at all, maybe stopping a bird from pooping on your head but no protection on the side or back of the head. Why bother? Don’t get me started on brands; there are some expensive helmets on the market that are still well below the required standard. Most new riders gaze upon the decals and artwork of the helmet, completely ignoring or missing the safety aspect and the dealer is just too happy to sell the customer what he wants. Buy the gear first then the motorcycle. What is the most important advice for motorists to assist in keeping our bikers safe? Turn the volume down on the radio, tell the kids to shut up, leave the phone in your pocket or bag and look for people on motorcycles. This work both ways, as “Sharing the Road” cannot be done by a single party; to share takes two people or more. Car drivers can be a little more focussed by what’s going on outside their vehicles and less distracted by what’s happening on the inside. If I have to single out a solution it would be that every car driver should ride a motorcycle first before driving a car. I’ve had people for training, and after having completed the course told me that their whole driving a car strategy has changed for the better. They are now more aware of motorcyclists than ever before. If there are a variety of training centres in an area - what do the bikers need to look for or enquire to ensure that he finds professional advice to keep him safer on the roads? Visit their training venue and have a chat with the instructor/s to get a feel on their reception. Talk to past students, getting feedback on their training experience. Look at the course offering and ask for possible references. Visit their website to find out how they operate, take bookings, etc. A photo speaks volumes, so be sure to look for a photo gallery of past training days. Talk to dealers and ask what they think of the training school. They won’t send you to a bad training school, it will reflect badly on them. And lastly, check if their certification carries any weight with regards to accreditation or endorsement by insurance companies. Are there any aspects not addressed through these questions that you believe need to be shared from your perspective? I think every genuine instructor would feel the same way when advice is given, then ignored just to see the student involved in an accident getting hurt or worse, killing himself because anxiety and peer pressure got the better of him. There are no rush people; it is not as if the bank is going to take your motorcycle the next day, take your time and learn from your mistakes the moment you make them. On a different note, and to first-time riders, start off with a smaller motorcycle like a 250, do a beginner level course using a training school motorcycle, then a second level course using your own motorcycle before heading out into the jungle. 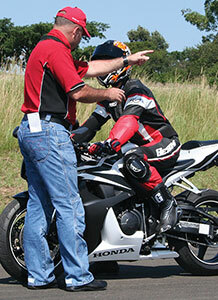 Ride and gain experience for about 4 - 6 months or 2000km before booking your K53 motorcycle test. Go for the license course and when you get your full license, then only consider upgrading to a bigger motorcycle. It is easier to do the test on a smaller motorcycle and it gives you time to ride for experience without being intimidated by the size or power of your ride. Always ride inside your skills limit; the moment you ride outside your comfort or skills zone you are putting yourself up for disaster. Sharing the road with bikers - How do we avoid the rage?